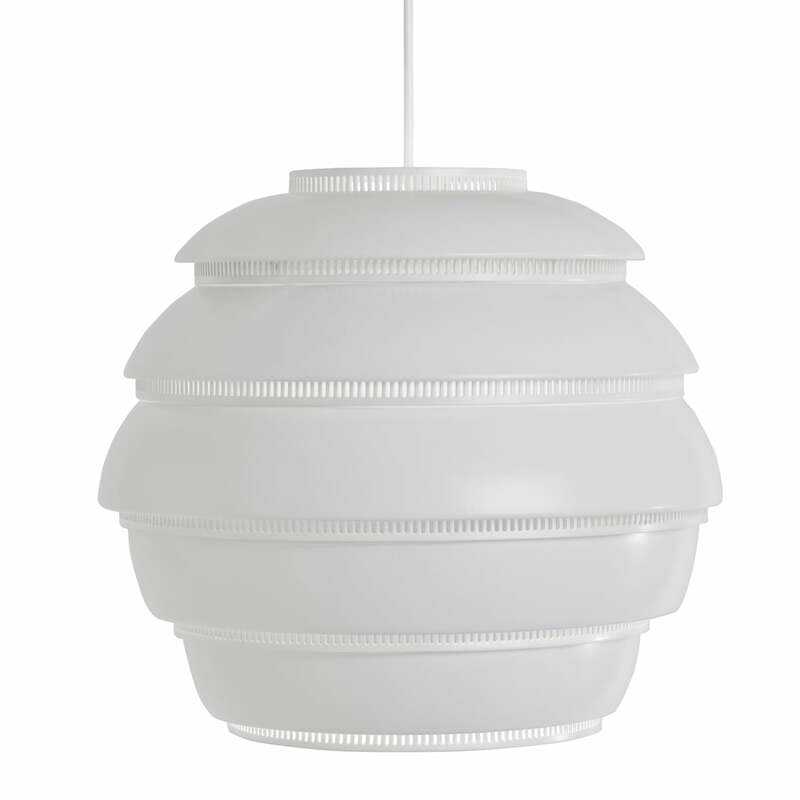 Alvar Aalto designed his Pendant Lamp A331 as early as 1953. 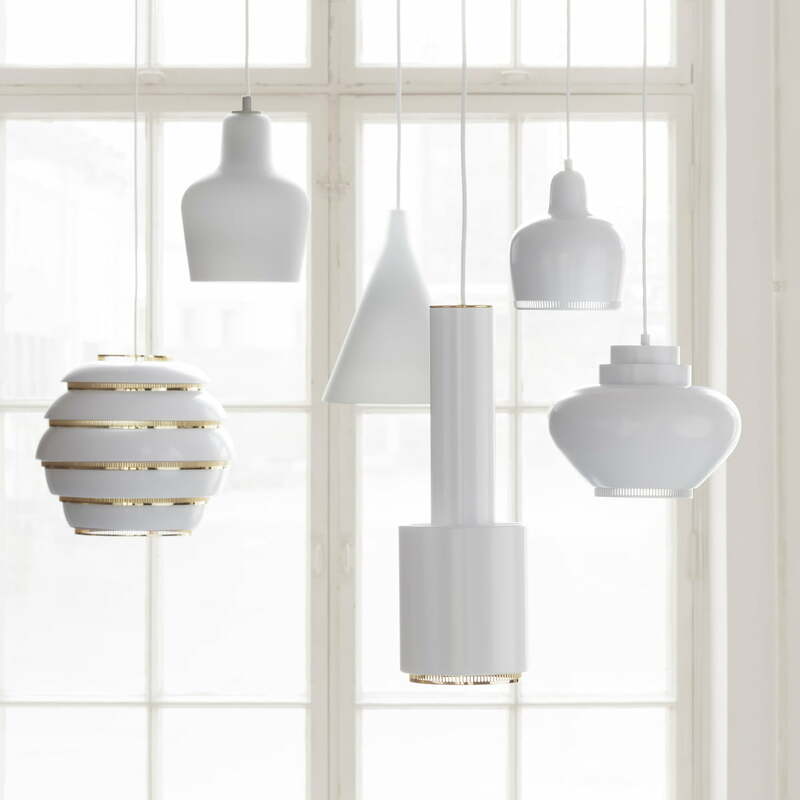 Through shaping with transparent rings, the Artek A331 ensures interesting plays of light. 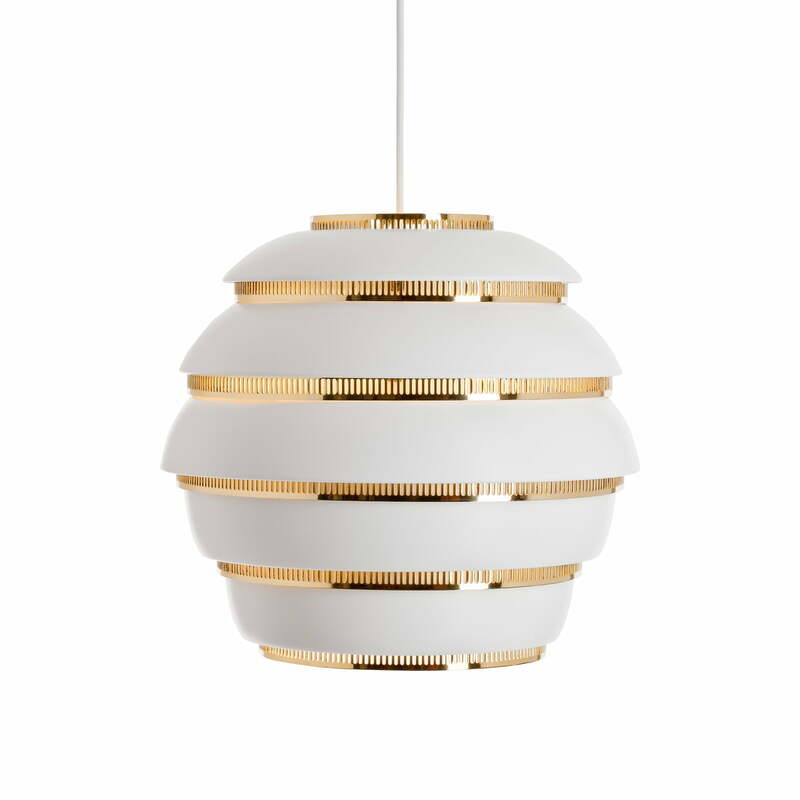 With its mix of organic shapes and Nordic clarity, the Artek Pendant Lamp A331 is a perfect embodiment of the Alvar Aalto style. 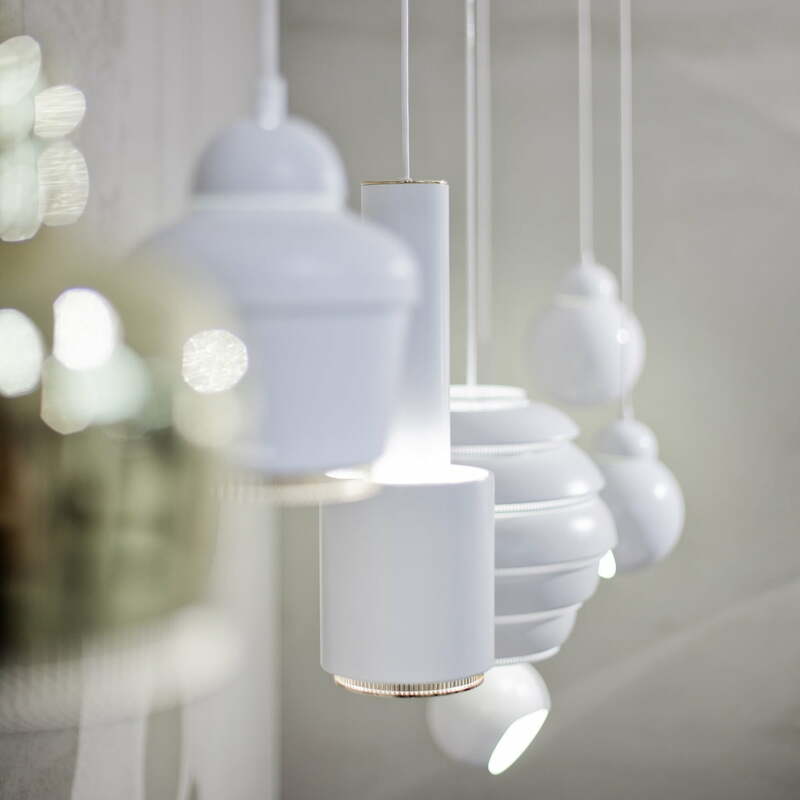 The Finnish designer initially created the A331 for the University of Jyväskylä, but it soon became a bestseller among Artek’s lamps. No wonder, as it’s sculptural and decorative even when it is switched off. 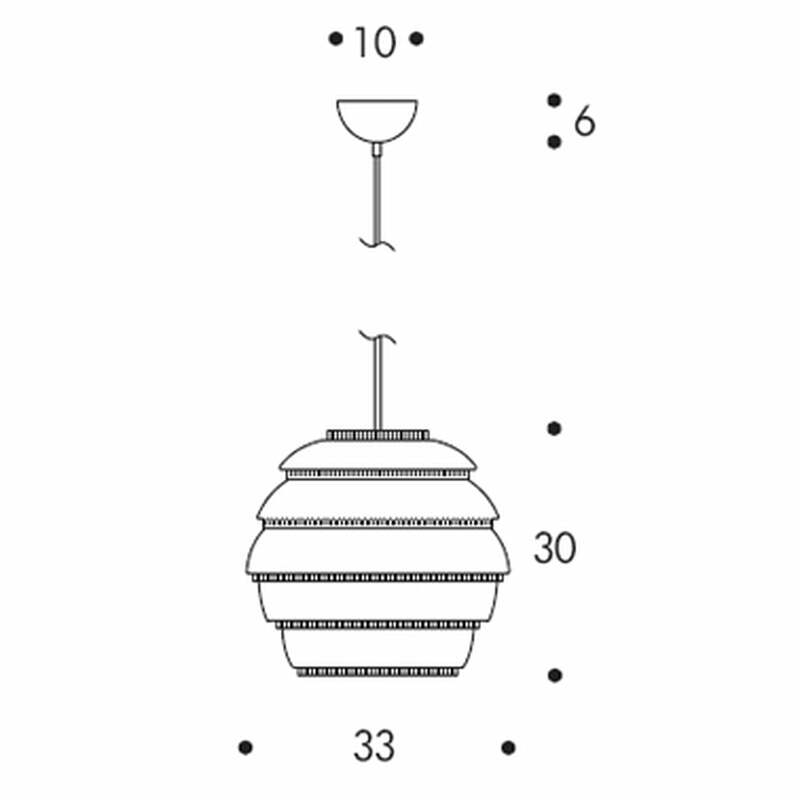 Light is emitted downwards directly and diffusely through rings in the body – the Pendant Lamp A331 is optimal for illuminating e.g. a dining table. 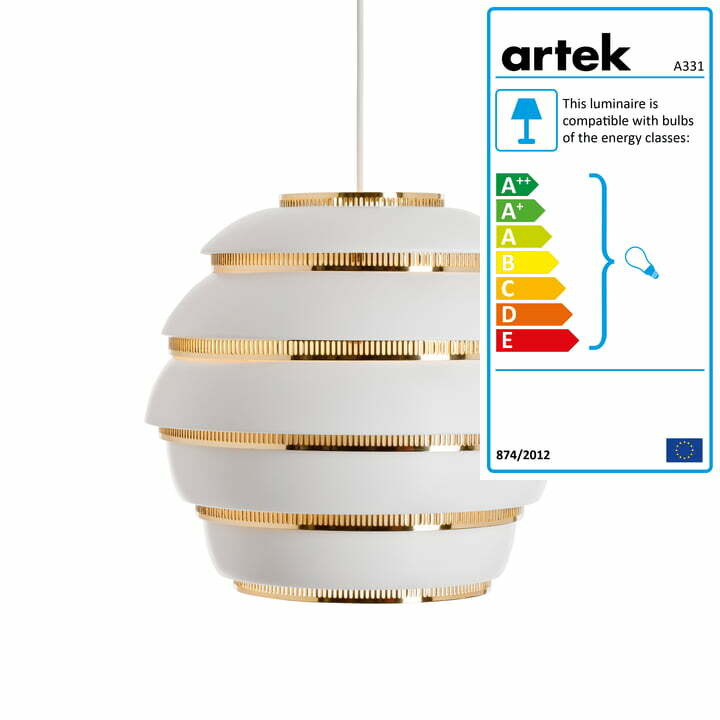 The Artek Pendant Lamp A331 can also be equipped with a 15W compact fluorescent bulb (energy-saving lamp) or with a 60W bulb. 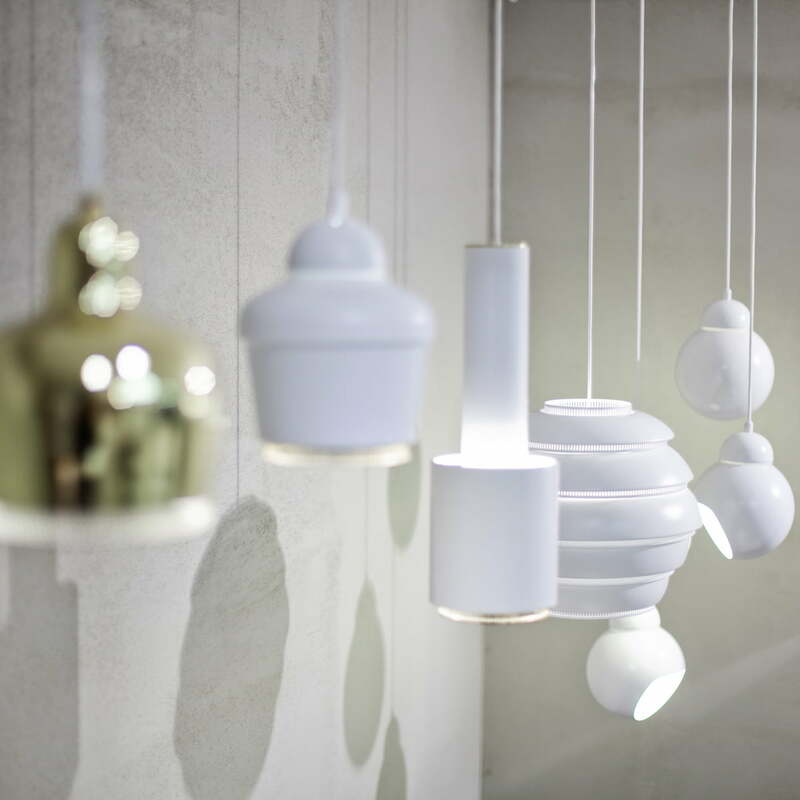 Artek manufactures the Pendant Lamp A331 based on the original design by Alvar Aalto (1953) from white lacquered aluminium. 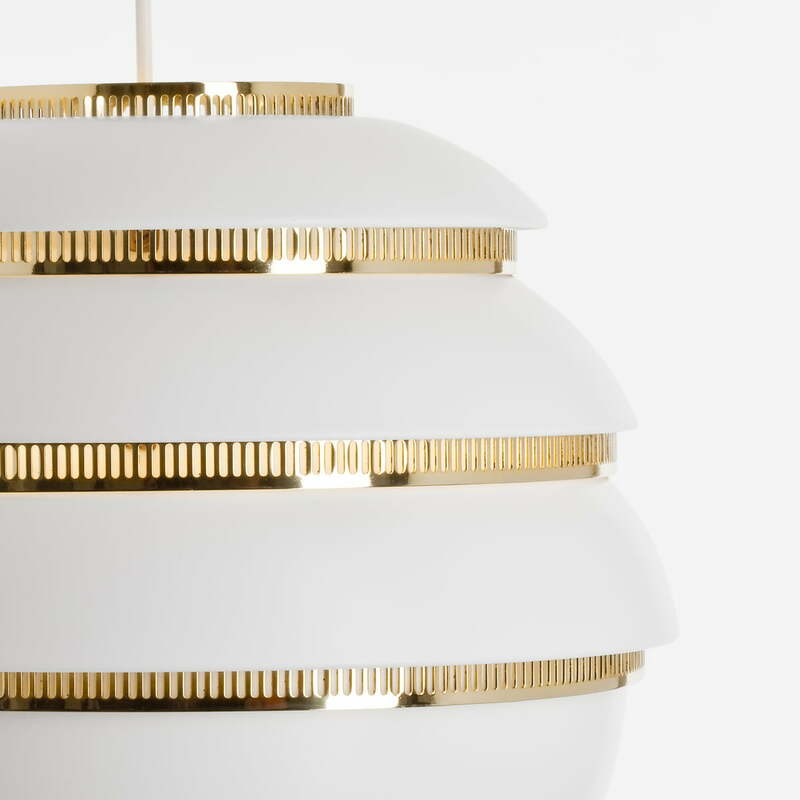 The rings are available in three different versions: polished brass, polished chrome or white lacquer. Not cheap but truely a classic. It will stay with me forever.